With its vertical lift design, there is not much that the CASE TV380 cannot lift or load. This durable machine is designed for the toughest jobs that require high breakout force and high hydraulic capacity. Easy maintenance is achieved with grouped maintenance points that can be found in one, convenient location. The TV380 uses SCR technology to meet Tier 4 Final requirements without sacrificing strength to help meet your needs for productivity, fuel efficiency and uptime. Conquer load-and-carry jobs with the vertical-lift engineered TV380. 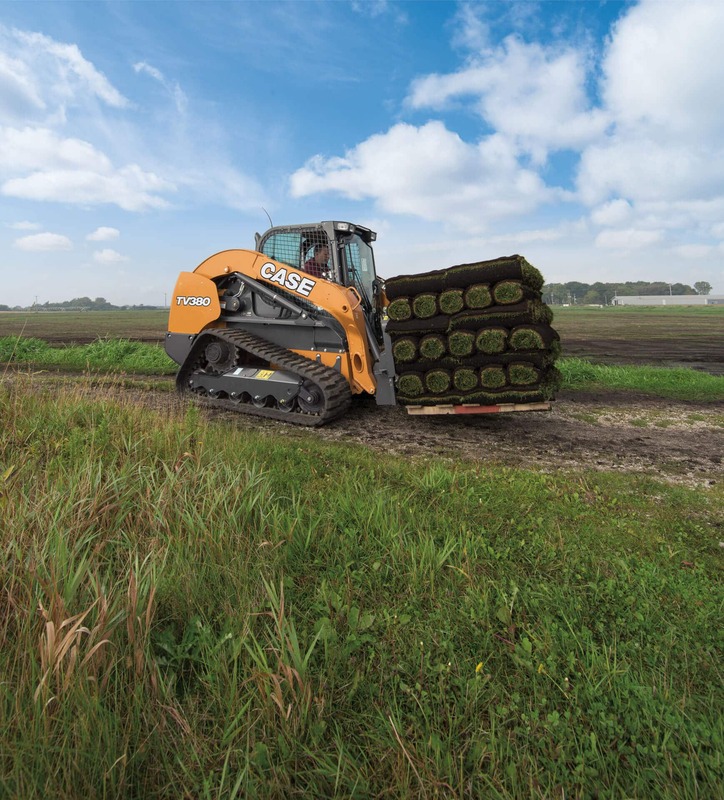 Steep slopes and slippery terrain can be navigated with confidence due to the dozer-style undercarriage, while loading trucks can be done faster with a superior hinge pin height position. Loading and unloading onto trailers can be done easily with a narrow chassis width. 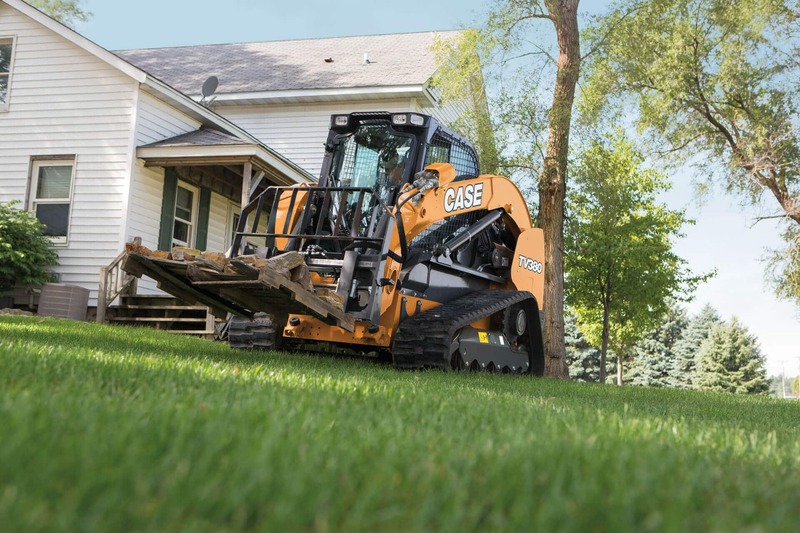 CASE chose an SCR Tier 4 Final solution to ensure this large-frame track loader packs plenty of power. Because SCR is an after-treatment system, it lets the engine breathe easier and run at peak performance, which translates to maximum power, lower operating temperatures and greater fuel efficiency. Plus, SCR is simple. No new filters. Just pour a little DEF (Diesel Exhaust Fluid) and go. 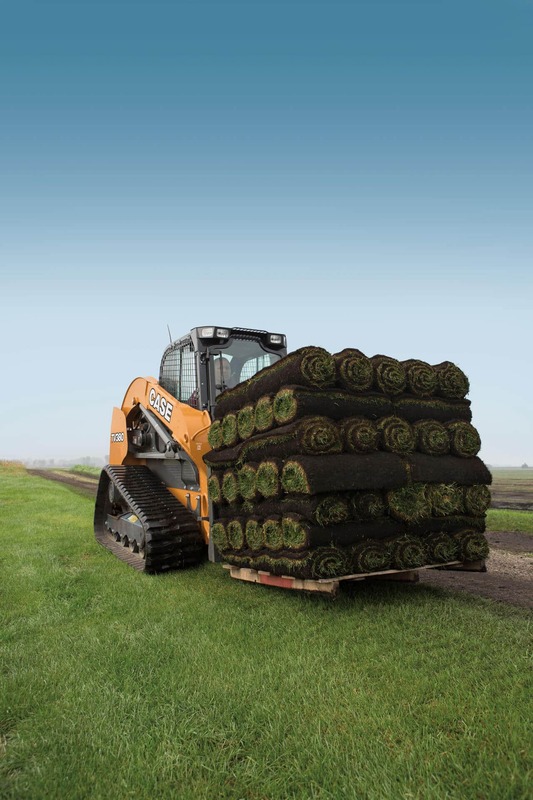 A large, 25.5-gallon (96.5L) fuel tank also enables this loader to run all day without refueling. Visibility, comfort and control are all improved with a 25% larger cab. Multiple upgrades have been made, including optional heated air suspension seats, air conditioning, a removable front door and side windows. A revolutionary thin wire side screen design, CASE exclusive side lighting and larger glass windows give you more visibility. We make maintenance easy. Maintenance costs are reduced while undercarriage life is maximized due to advanced roller and idler technology. And maintaining the suspension is easy with a rigid track frame featuring fewer moving parts. All service and maintenance points are easily accessible through the rear of the machine while the tilting cab provides easy access for repairs. Why this solution: One of the strongest compact track loaders in our lineup, the vertical lift TV380 is designed for maximum lifting and loading strength. As an after-treatment system, Selective Catalytic Reduction (SCR) lowers exhaust temperatures and does not require unproductive fuel use associated with burning off particulate matter, plus there’s no Diesel Particulate Filter (DPF) to replace making it a great solution for larger, high-productivity engines. Powered by an FPT engine.